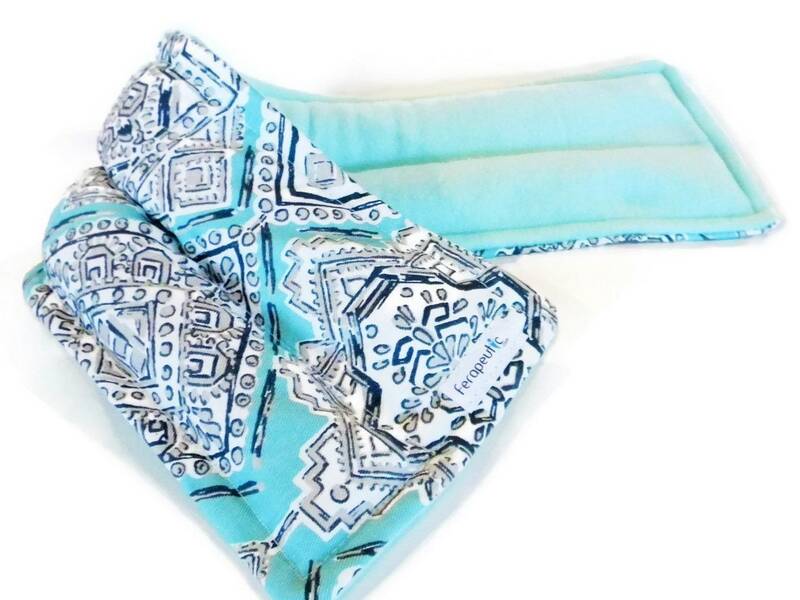 Large Microwavable Neck Pack and Heating Pad are warming thermal rice bags. Heat in microwave for comforting warmth or chill in freezer for soothing, easy cool. Sturdy cotton fabric on one side with soft comfy fleece on the other and always double stitched for durability and longevity. A blend of all natural flax seed and rice fill our packs for the ideal combination of warmth retention or cooled refreshment. The oil in flax seed helps retain warmth while the rice is an extremely useful conduit for moist heat. 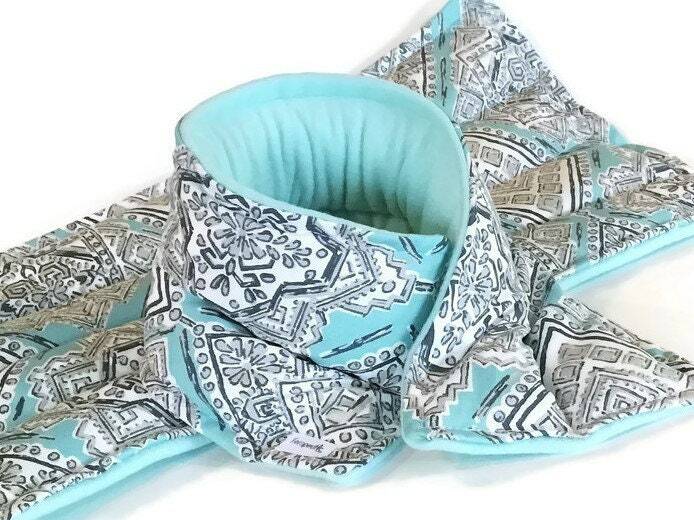 Beautifully designed and presented comfort wraps are a clever gift for yourself or someone you care about. Our packs and wraps are always professionally packaged in a clear cello bag and labeled with detailed directions and description, perfect for gift giving. In addition you are given the option to send a personal note with your order and/or gift wrap. TheFerrisWheels therapy products are offered unscented or with the added benefit of aromatherapy. We only use real natural essential oils and herbs, with no synthetics added. If chamomile is not an option in the drop down menu due to limited space with variations, you can always request it in 'notes' during the checkout process and we are happy to accommodate. Some fabric pattern placements may vary from the original photo due to fluctuations of large patterned prints. Shades of soft fleece may differ depending on availability. 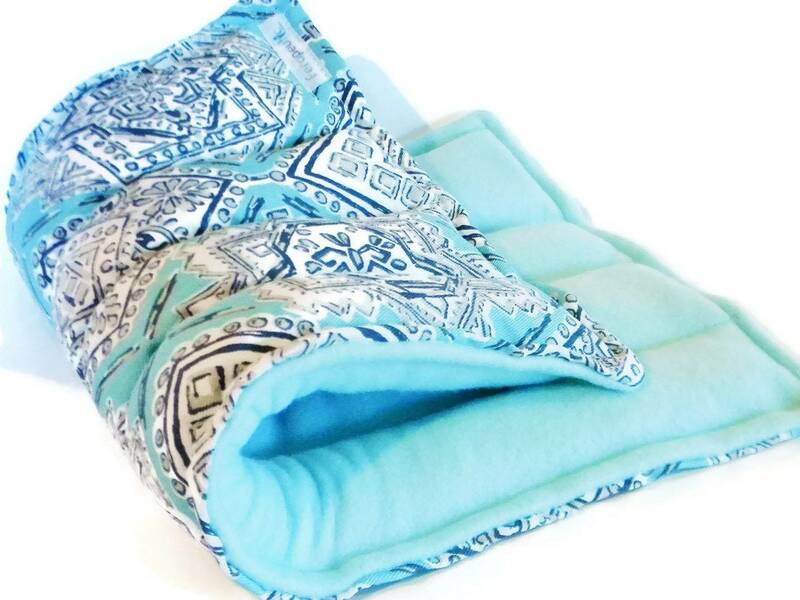 Therapy packs are not intended to treat any specific illness, but provide relaxing warmth or soothing cool for anyone in need of peacefulness and comfort.